Scottish Highlands catturate dalla ISS, 25 febbraio 2018. 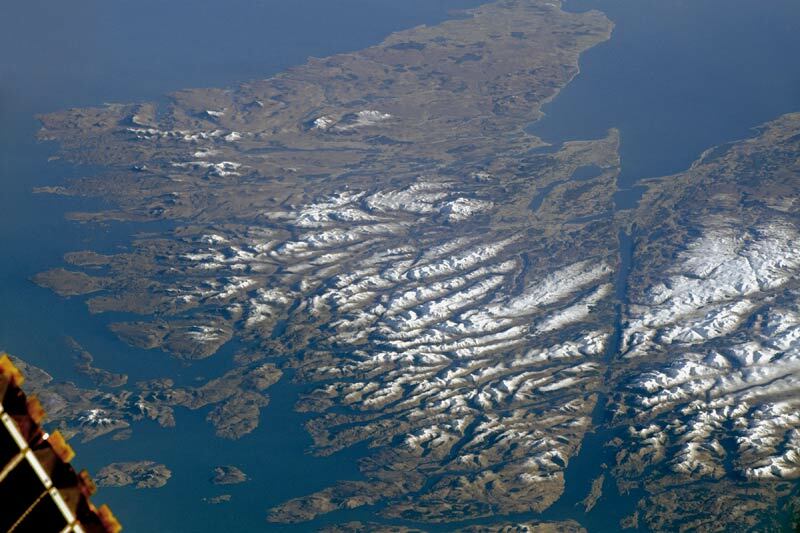 Looking out from a window on the International Space Station, an astronaut captured this rare photograph of the Scottish Highlands. Cloud-covered skies are common for the region and typically prevent landscape photography from space, especially during the winter months (when this image was taken). The topography of the Scottish Highlands is the result of geological processes spanning billions of years. The snow-capped mountains north of Glen Mor include some of the oldest rocks in Europe, and they were subsequently rearranged by tectonic forces hundreds of millions of years ago. The rocky landscape also shows signs of reshaping by flowing glaciers during the most recent Ice Ages.